Israeli embassy campaign in Japan. TOKYO — The Embassy of Israel in Japan has launched an unorthodox campaign to attract Japanese tourism to the country and dispel concerns around security. The initiative, Ii ne! 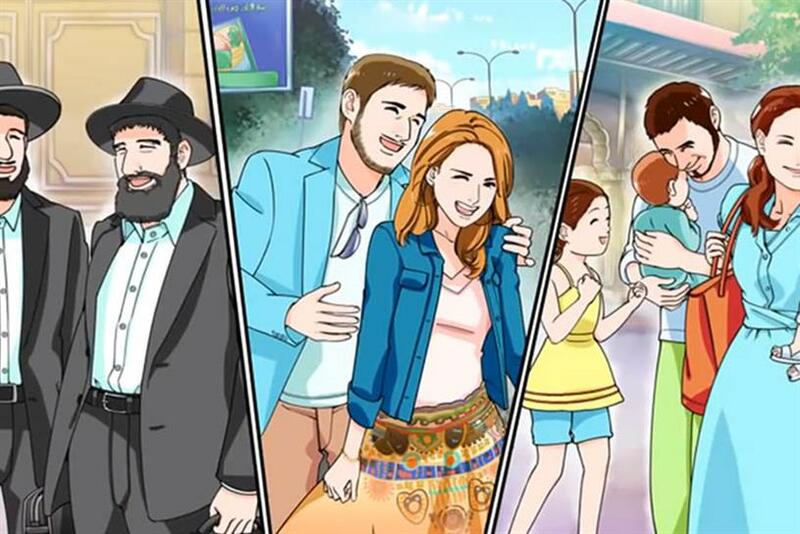 Israel (which the embassy translates as ‘Israel, Like!’) will see the eventual rollout of seven short films in anime style charting the experiences of Japanese visitors to the Middle Eastern country. It appears to be aimed at female Japanese office workers, sometimes known as "OLs" in Japan. An announcement on the embassy’s website bills the work as "a first of its kind PR project by an embassy, with the goal of introducing the soft sides of Israel to Japan." The work is produced by Manganimation. The first episode introduces two sisters, Saki and Noriko, who decide to take the adventurous step of travelling to Israel to spend some "quality sister time" together. Saki is shown to know very little about the country (not even its geographical location) and is somewhat apprehensive. Noriko, who is more knowledgeable, reassures her and, putting her fears to one side, Saki becomes enthusiastic about the trip. The video affords the chance to present various Israeli attractions, including the Dead Sea, Eilat, a bar serving Israeli wine, and a modern airport that exceeds expectations. The story is interspersed with factual segments featuring Shalom-chan, a talking bird bearing the Star of David that has also appeared in public as a larger-than-life mascot. The bird offers up factual information such as the country’s population, languages and the duration of diplomatic relations between Israel and Japan. The video ends on a dramatic note with Noriko revealing that she and her husband once visited Israel, but that their marriage is now on the rocks. Reactions to the initiative have been mixed, both from consumers and industry observers. Israel faces a challenge in attracting tourists due to its political situation: related links to the video on YouTube feature topics such as the ongoing war in Gaza, and The Ministry of Foreign Affairs of Japan (MOFA) advises caution when travelling to Israel and postponement of travel plans to certain areas. Comments posted by Japanese viewers on YouTube reflect this and also draw attention to more personal security issues. One, ‘mata catciima’, notes that the instances of murder, pick-pocketing and sexual crimes in Israel are much higher than in Japan and suggests that it would be risky for two Japanese women to travel there in the same way as the characters in the video. Kan Taniguchi, international marketing director at Tugboat in Tokyo, said it was wrong to present Israel as a safe destination. "The traveller should know the danger and travel at their own risk, but [the tourism bureau] shouldn’t guarantee safety," he said. Mariko Sanchanta, regional managing director of media at Burson-Marsteller, noted that Japanese travellers were among the world’s most safety-conscious and said the video didn’t do enough to assuage possible concerns. On the positive side, observers praised the attempt at innovation in destination marketing. Taniguchi commended the video for adapting to Japanese culture and making the country feel accessible to OLs, a desirable demographic with a lot of money and time. "This is much better than stacks of boring brochures," commented Emiri Tokunaga, head of content agency Seven46 in Japan. She said that although the plot around marital problems was somewhat distracting, the video served to bring guidebooks to life. "It’s good in a sense that the video covers all the major visiting spots and introduces some facts and trivia," Tokunaga said. "There are six more episodes to watch. I hope the video isn't trying to sell a 'take a trip to Israel to heal your marriage' sort of story." Sanchanta agreed that credit was due for inventiveness and said the anime style was "cute," but pointed out that the target audience did not typically have a strong interest in anime. She added that the video’s simplistic portrayal of Japanese women "leaves a bit to be desired." "Japanese OL [travellers] have evolved beyond just shopping and eating and I don’t think the first episode portrayed that, but I’m hopeful the next will be more nuanced," she said. Israel has attracted 9,500 tourists from Japan this year, according to government statistics.